Do you like junk food? This site has a selection of fun games to help you learn the right names of your favorite food! 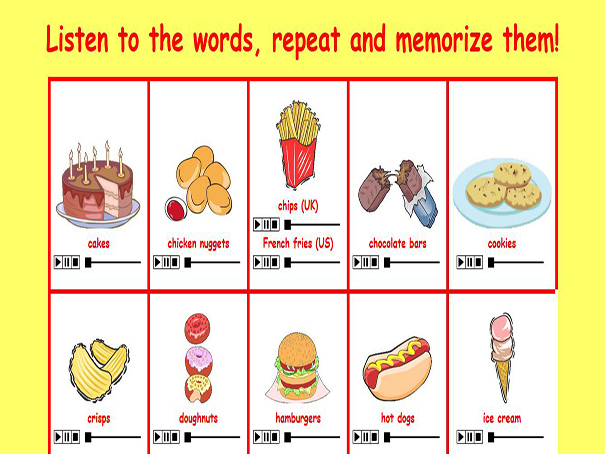 First, learn the vocabulary by listening to the audio and looking at the pictures. Then test your new vocabulary by matching the words with the pictures, the pictures with the audio and completing the crossword. Remember to click on all the pages for each game!